Dress Me Up - Be Glossy In and Out! Winter is my favorite season and also the period with so many events and celebrations. Except the Thanksgiving Day, Christmas and New Year`s Eve, I must attend at some other formal social events, like weddings, formal dinners or dance parties. Every woman wants to look astonishing and feel like a queen but we never have enough dresses for all the special events in our life. Finding the perfect outfit for all those special events can be very stressful. The mad rush, the disappointment when you don`t find what you wish for in the first shop and, why not to mention, the cost! That`s why I prefer shopping online and searching through the hundreds of dresses styles. 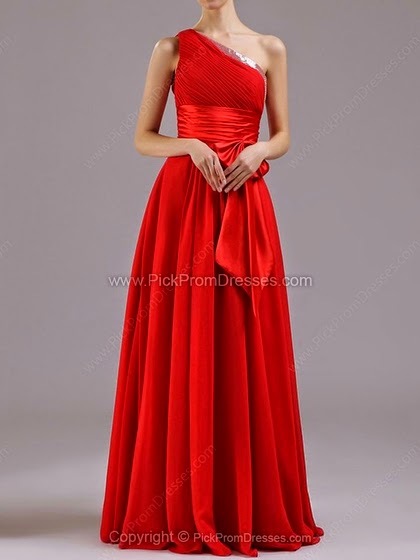 I recently discovered the www.Pickpromdresses.com and I found some formal dresses on my taste, which can help me look my best at my next special occasions with less money. But it is so hard to decide, as there are so many great designs and high quality gowns. Formal dresses tend to be glamour in full length but a midi dress is also a very classical choice. I don`t want to break the dress code of the event but I want to make it unique for me by wearing a colorful dress. I love turning heads and being original. I can`t go wrong with those chic selections. The black and white garments have spread through many countries as a formal dress style. It is one of my favorite combination. The mermaid dresses are suitable for very tall women with long legs and perfect body. If you are 5’4 or even shorter you should opt for long slim dresses that will sit close to your hips and waist area. Thus you will gain more feminine look. If you are ‘inverted triangle body shape’ you should probably find something that slim your shoulders down and add volume to your thighs and hips. A magical night calls for an ensemble as elegant as this lace dress! Formal gowns are usually made of luxurious fabrics such as chiffon, velvet, satin, organza, etc. Silk is a popular fibre for many evening dresses. The important thing is to find the right dress for all occasions, which will allow us to be comfortable and Goddess-like. But the most important remains the attitude, stepping with confidence, grace and style can make us the most beautiful girls at any event. "I like being a woman, even in a man’s world. After all, men can’t wear dresses, but we can wear the pants." as Whitney Houston was saying. Aren`t those dresses stunning? Which one you like best and you would recommend to me? Oh how I love the mint one. Lovely dresses.